Minnesota, a cold but beautiful land of plenty! 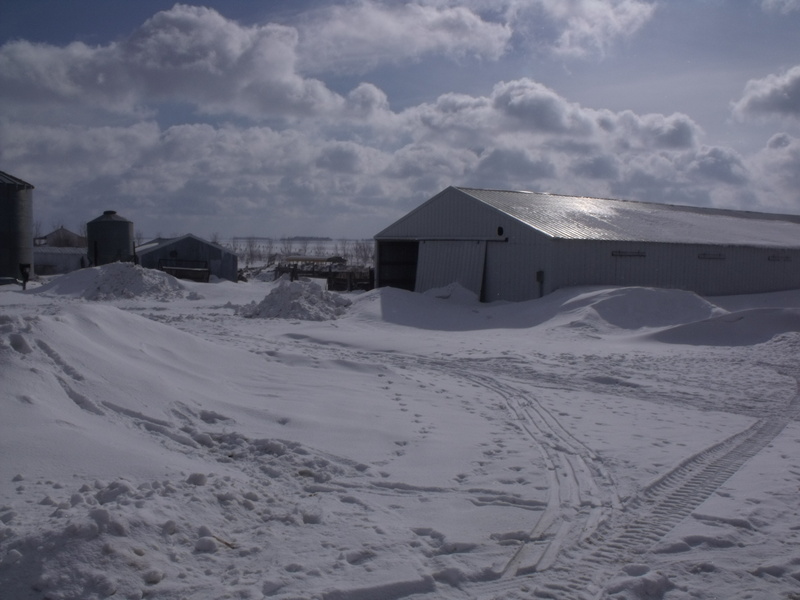 A cold March day out back on our farm. Cold but pretty, view of Jess and Luke’s home. 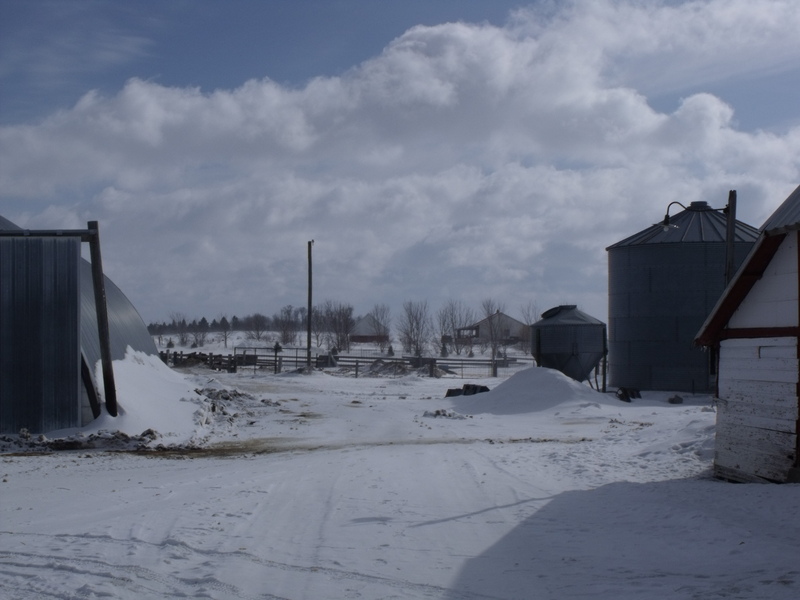 Even with all the winter weather going on here in SW Minnesota, there is Spring in the air. 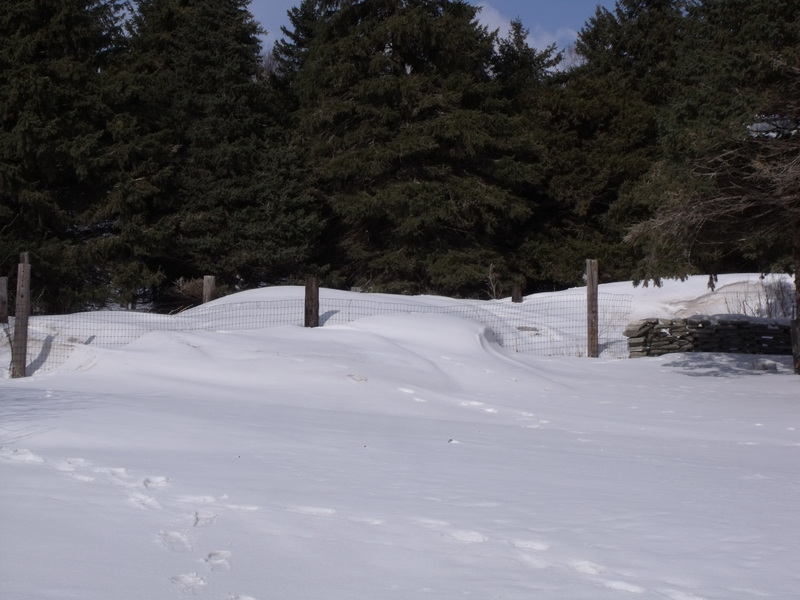 At least in our dreams, Spring is near! The seeds were started today in my kitchen by Francesca and Marisa. 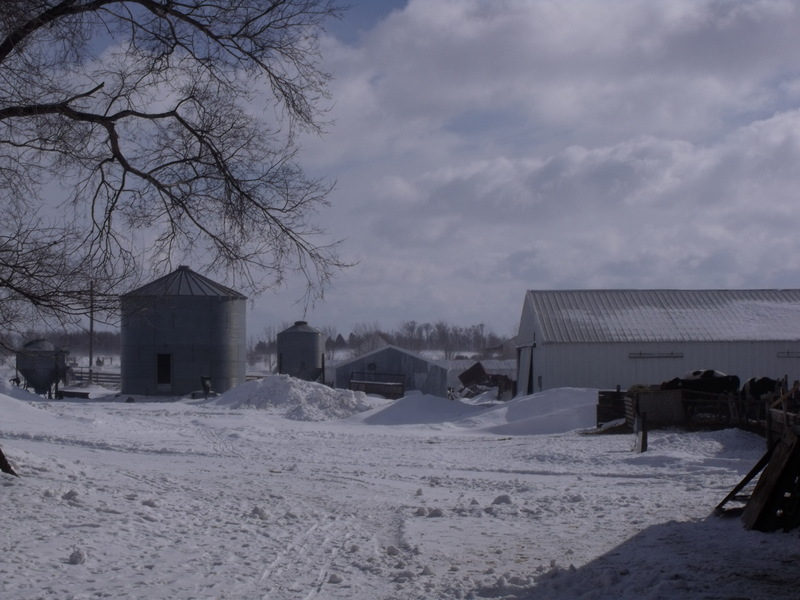 Somehow, planting in the dirt makes us all feel as though Winter will soon end. I should say, we are pleased with the moisture which we need very badly but it would be great to have our moisture in the form of rain. The seeds are in one of only two south-facing windows in our large farm home and that happens to be up in my bedroom window. I’ll make sure Fred blesses the seeds with Holy Water each night after he blesses kids! 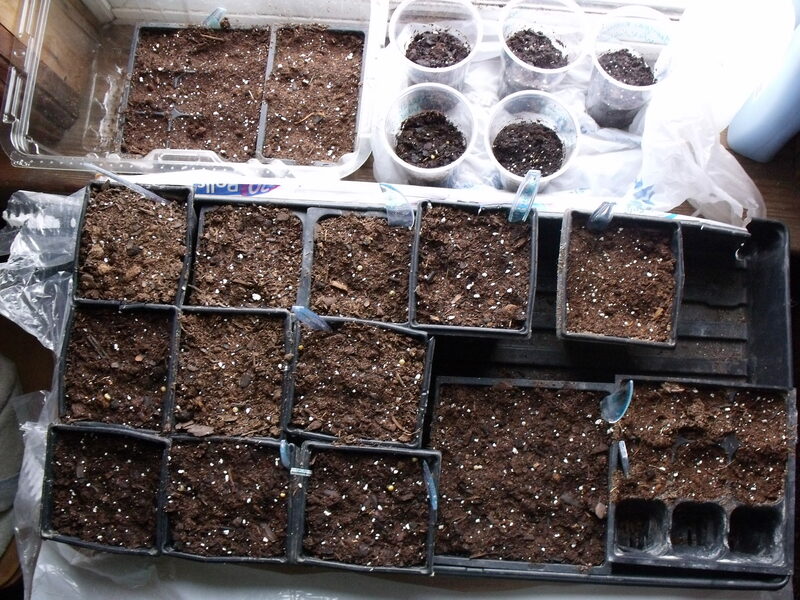 Seeds were started in the south window. 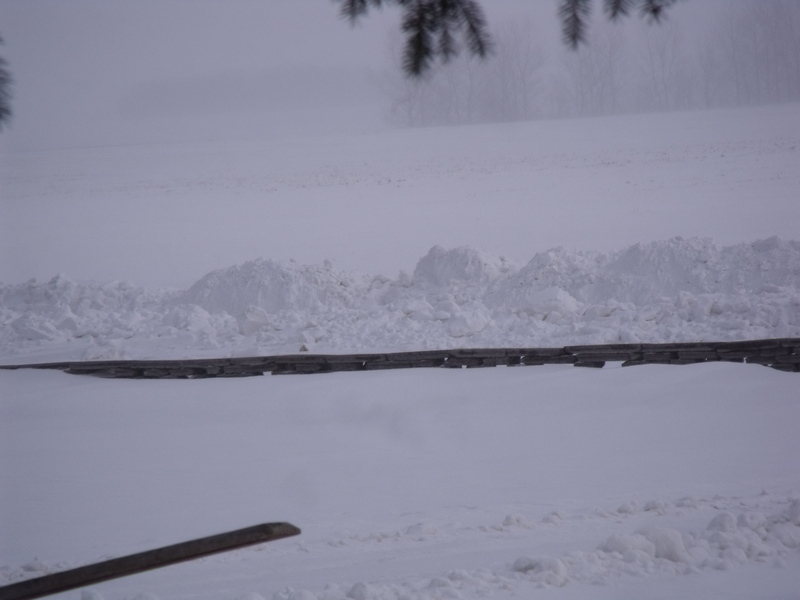 View looking East from our front porch with a bit of a ground blizzard going on. 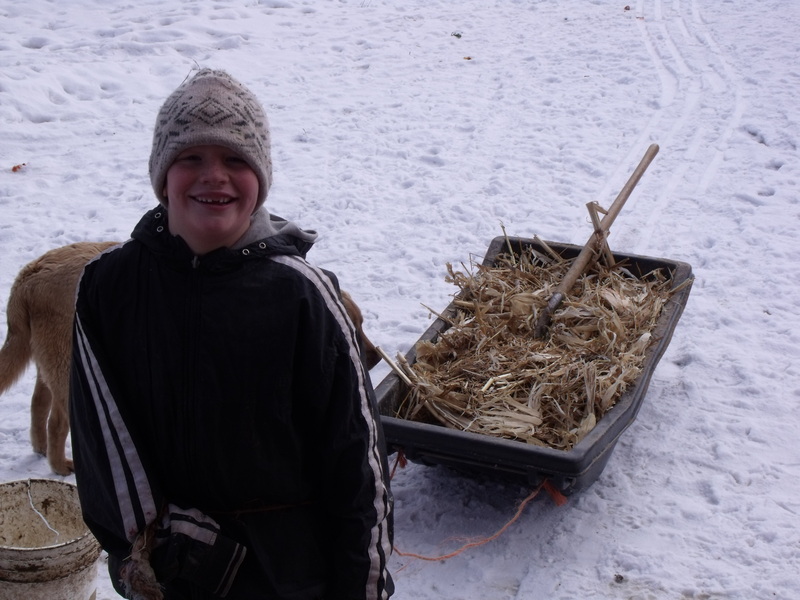 Mario hauls some corn stalks for the chicken house. (POPE FRANCIS has the middle name MARIO!! 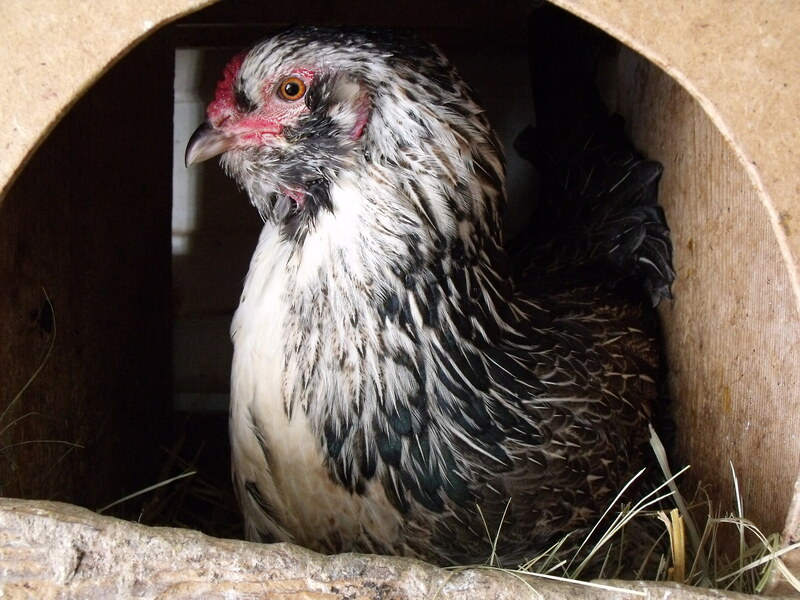 Bella and I spent a good part of the afternoon yesterday watching for egg eating hens in the layer house. It was a fun time for me, as it seems like ages that I’ve done that. If you’ve never watched hens in a hen-house, you are missing out on a lot. They were so busy in there that they reminded me of a bunch of ladies at a gathering. Some of them can be down right mean. All seem to have their own personality. And those roosters……let us just note that they are very competitive with the ladies:) Every time the hens would lay an egg, they let us know with their loud clucking and we’d steal the eggs……and quickly…… to avoid being pecked. 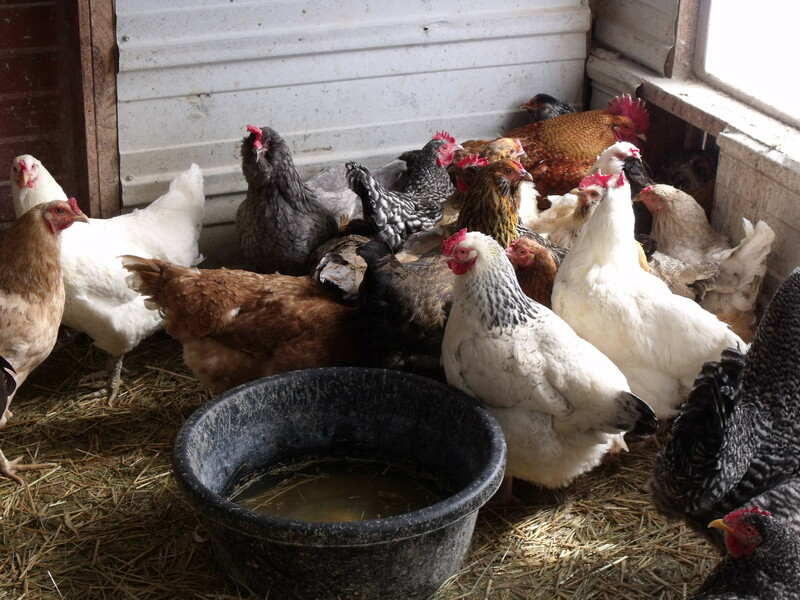 In the end, we gathered over 30 eggs and realized just how many eggs those hogs, I mean hens had been eating every day. I’m not exactly sure how many eggs they have been eating, but I hope we put an end to it. 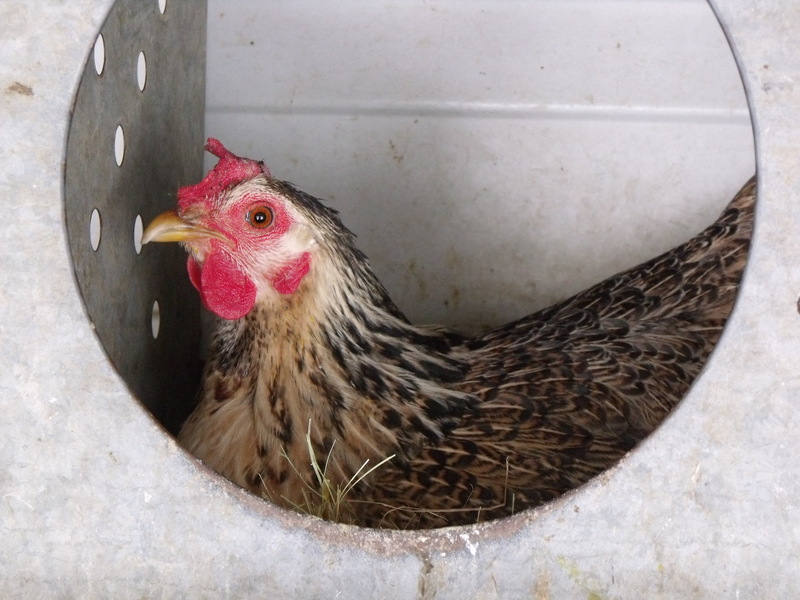 Chickens are picky when it comes to finding a cozy spot to lay an egg. 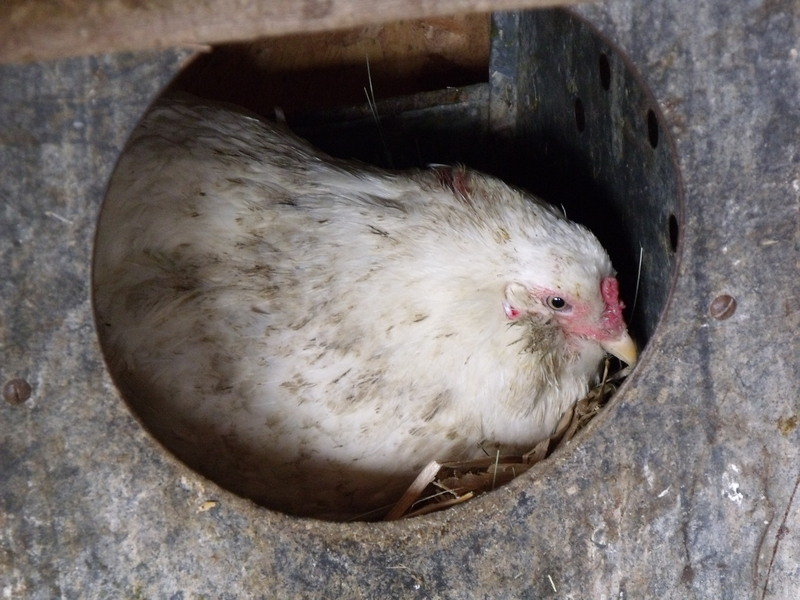 Cozy hen in her nest. Another of our good layers. Bella holding a possible egg eater……..
Next on the agenda was to get Fred and Caleb out there to snip the beaks of the culprits. We saw egg yolk on some of them which, was a dead giveaway. 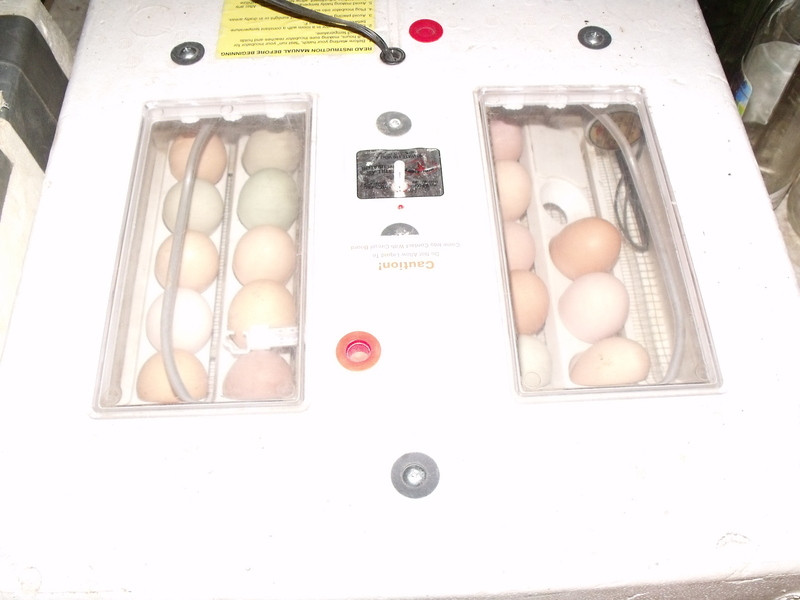 With all our fun effort, we were able to gather enough fresh, clean eggs for Marisa to fill our incubator with. Another Spring job out-of-the-way as of today. One of two incubators in basement. This one holds 41 eggs. 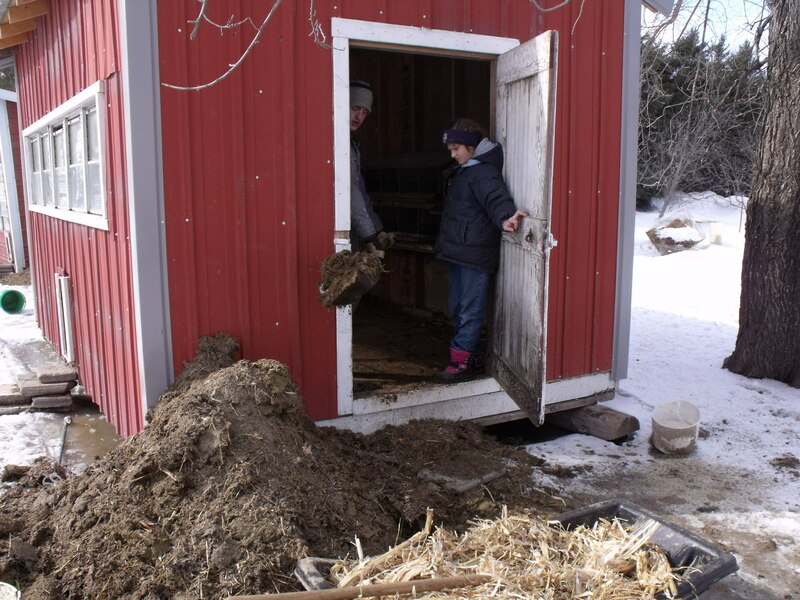 Bella and I were working hard at pitching out the manure and to make it less boring I was picturing which politician I’d like to sling the fresh manure at:) Along came Caleb, who offered to show us how to make the job easier. This meant, using a flat shovel instead of the pitch forks. Sure enough, he had her licked in less than a half hour!! Thank goodness for kind helpers. 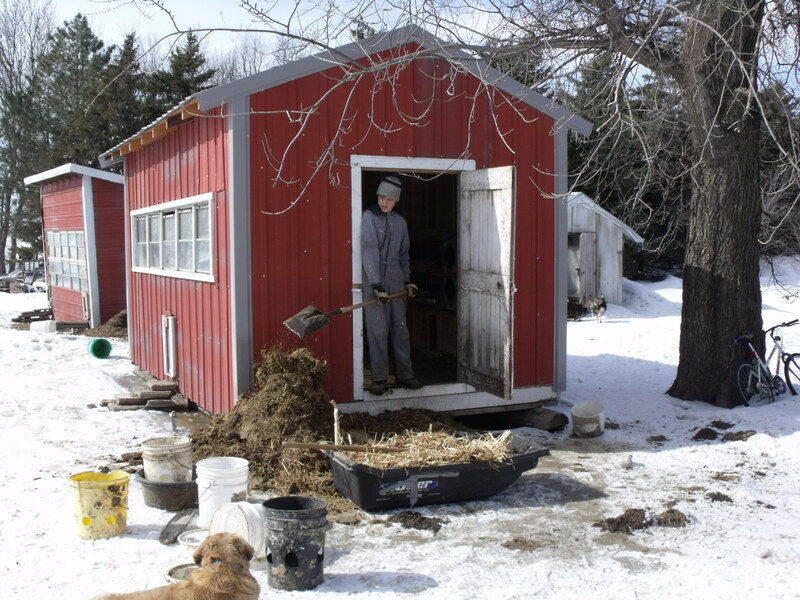 Caleb pitching out the hen-house. Bella made sure the chickens did not escape. 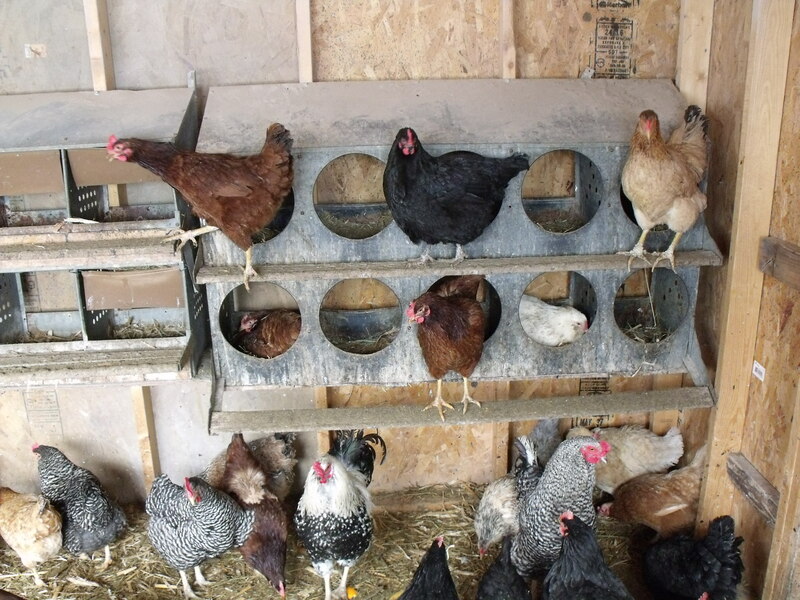 Happy hens, clean chicken house. Fred, Caleb and a friend of ours butchered five hogs today. I was too busy in the house to take some photos, but they sure pulled that one-off fast. Four of the hogs were sold to a friend and the fifth is hanging out in the butcher shop for us to finish off very soon. None of the girls had to help out………what do you make of that? Then at supper time some folks stopped by to buy a turkey and two rabbits. Then Caleb and I did some target practice with my Rough Rider pistol that Fred gave me for Valentines Day. Isn’t he sweet? I’m so glad to live on a farm where there is never a dull moment. Not to mention the freedom farm living offers. Life goes by way to quickly and I don’t want to miss any of it. 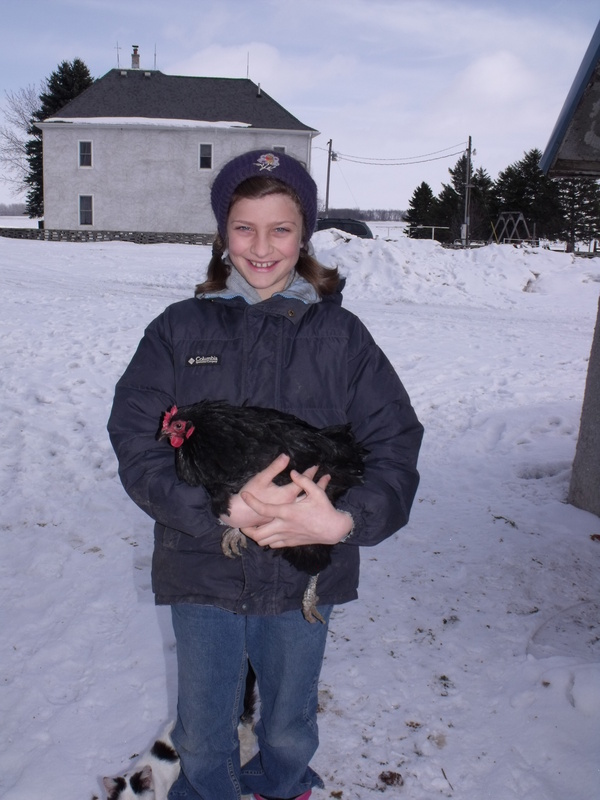 This entry was posted in EVERY DAY FARM LIFE and tagged Callens Farm, hens. Bookmark the permalink.